The Department of Electrical and Computer Engineering hosts two different seminars; the Department Lecture Series, and weekly Graduate Seminars. All talks take place from 4:30 p.m. - 5:30 p.m. Please see below for venue details. Reception following at 5:30 p.m. Reception following in Scott Hall Atrium at 5:30 p.m.
Refreshments served at 11:30 a.m.
All seminars will take place in Wean Hall 5421. Refreshments are served at 4:00 p.m.
View all previously recorded seminars here. Andrew ID and password are required to view recorded seminars. Emerging semiconductors, ranging from wide bandgap or ultrawide bandgap materials (such as SiC, Ga2O3, AlN) to atomic layer crystals (such as transition metal dichalcogenides or TMDCs, black phosphorus), along with their heterostructures, offer compelling new platforms for electronic, photonic devices and transducers, where the unconventional and unique properties of these crystals can be harnessed for engineering both classical and quantum signal processing schemes. In this presentation, I will describe some of my research group’s latest endeavors and results on advancing solid-state device physics and engineering, by employing some of these emerging semiconductors (mainly 2D semiconductors, SiC, and Ga2O3). In classical domain, we build atomically thin electronic, optoelectronic devices, and a new class of nanoscale transducers, 2D nanoelectromechanical systems (NEMS), all enabled by 2D semiconductors and their van der Waals heterostructures. We demonstrate how the unconventional properties of these structures and their internal strong coupling effects have led to remarkably broad dynamic range and electrical tunability, as well as discoveries of new phenomena, device functions, and sensing modalities. Toward quantum engineering, atomistic defects in SiC and emerging 2D crystals support quantum emitters promising for enabling qubits at room temperature. Built on our attainments in SiC photonics and 2D devices, we explore such platforms and heterogeneous integration, toward realizing quantum transduction and information processing in chip-scale integrated systems. 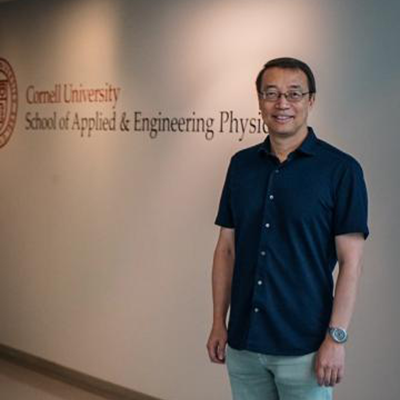 Philip Feng is currently the Theodore L. & Dana J. Schroeder Associate Professor in EECS at Case School of Engineering, Case Western Reserve University (CWRU). His group’s research is primarily focused on emerging semiconductor devices and integrated systems. He received his Ph.D. in Electrical Engineering from California Institute of Technology (Caltech) in 2007. He was an invited participant at the National Academy of Engineering (NAE) 2013 U.S. Frontier of Engineering (USFOE) Symposium. Subsequently, he was selected to receive the NAE Grainger Foundation Frontiers of Engineering (FOE) Award in 2014. His recent awards include the NSF CAREER Award, 4 Best Paper Awards (with his advisees, at IEEE and American Vacuum Society (AVS) conferences), a university-wide T. Keith Glennan Fellowship, the Case School of Engineering Graduate Teaching Award (2014) and the Case School of Engineering Research Award (2015). A Senior Member of IEEE, he has served on the Technical Program Committees (TPC) and as Track/Session Chairs for IEEE IEDM, IEEE MEMS, Transducers, IEEE IFCS, IEEE SENSORS, IEEE NANO, etc., and as the MEMS/NEMS Chair for AVS’ 61st to 63rd Int. Symposia. Lately, he is also serving as a co-organizer and technical program chair for SiC Materials & Devices Workshop. When subjects are exposed to full field flicker in certain frequencies, they perceive a variety of complex geometric patterns that are often called flicker hallucinations. On the other hand, when looking at high contrast geometric patterns like op art, shimmering and flickering is observed. In some people, flicker or such op art can induce seizures. In this talk, I describe a simple network model of excitatory and inhibitory neurons that comprise the visual area of the brain. I show that these phenomena are reproduced and then give an explanation based on symmetry breaking bifurcations and Floquet theory. Symmetric bifurcation theory also shows why one expects a different class of patterns at high frequencies from those at low frequencies. Next, I will describe the flip side of this coin and discuss a theory of uncomfortable images. Many people exhibit visual discomfort when looking at high contrast geometric patterns such as seen in op art. I'll discuss some recent results where we show that such patterns can induce global oscillations in a network similar to the one used in the flicker study. I am a Distinguished University Professor of Computational Biology and Professor of Math at Pitt where I have been since 1982. I received my Ph.D. in Theoretical Biology at the University of Chicago and did a postdoc at NIH with John Rinzel. 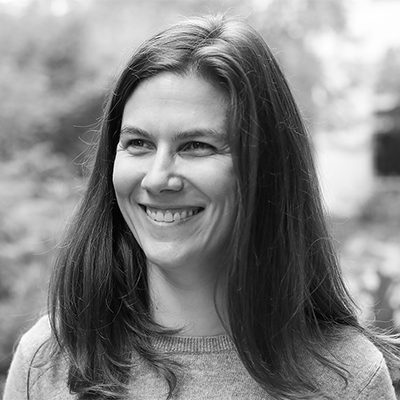 Honors include: Sloan Fellow, SIAM Fellow, winner of the 2015 Math Neuroscience prize. I am an avid, if feckless gardener, collect old fountain pens, and have an encyclopedic knowledge of Popeye. Emerging from the optimal transportation problem and due to their favorable geometric properties, Wasserstein distances have recently attracted ample attention from the machine learning and signal processing communities. Wasserstein distances have been used in supervised, semi-supervised, and unsupervised learning problems, as well as in domain adaptation and transfer learning. However, the application of Wasserstein distances to high-dimensional probability measures is often hindered by their expensive computational cost. Sliced-Wasserstein (SW) distances, on the other hand, have similar qualitative properties to the Wasserstein distances but are significantly simpler to compute. The simplicity of computation of this distance has motivated recent work to use SW as a substitute for the Wasserstein distances. In this presentation, I first review the mathematical concepts behind sliced Wasserstein distances. Then I introduce an entire class of new distances, denoted as Generalized Sliced-Wasserstein (GSW) distances, that extends the idea of linear slicing used in SW distances to general non-linear slicing of probability measures. Finally, I will review various applications of SW and GSW in deep generative modeling and transfer learning. Soheil Kolouri is currently a Research Scientist at HRL Laboratories, LLC, Malibu, CA, focusing on various machine learning problems, including continual learning, domain adaptation, zero-few/shot learning, generative modeling, and transfer learning. He is the co-PI for DARPA’s Lifelong Learning Machines (L2M) program and he is also the PI on HRL’s internal R&D project on Learning with Less Labels. He received his Ph.D. in Biomedical Engineering from Carnegie Mellon University in 2015, where he was awarded the Bertucci Fellowship for outstanding graduate students from the College of Engineering in 2014, and the Outstanding Dissertation Award for his thesis titled: “Transport-Based Pattern Recognition and Image Modelling,” from the Biomedical Engineering Department in 2015. In photon-limited imaging, the pixel intensities are affected by photon count noise. Many applications, such as 3-D reconstruction using correlation analysis in X-ray free electron laser (XFEL) single molecule imaging, require an accurate estimation of the covariance of the underlying 2-D clean images. Accurate estimation of the covariance from low-photon count images must take into account that pixel intensities are Poisson distributed, rendering the sub-optimality of the classical sample covariance estimator. Moreover, in single molecule imaging, including in-plane rotated copies of all images could further improve the accuracy of covariance estimation. In this talk, we introduce an efficient and accurate algorithm for covariance matrix estimation of count noise 2-D images, including their uniform planar rotations and possibly reflection. Our procedure, steerable ePCA, combines in a novel way two recently introduced innovations. The first is a methodology for principal component analysis (PCA) for Poisson distributions, and more generally, exponential family distributions, called ePCA. The second is steerable PCA, a fast and accurate procedure for including all planar rotations for PCA. We demonstrate the efficiency and accuracy of steerable ePCA in numerical experiments with simulated XFEL datasets. Zhao is an assistant professor in the Department of Electrical and Computer Engineering at the University of Illinois, Urbana-Champaign, with affiliation to the Coordinated Science Laboratory. 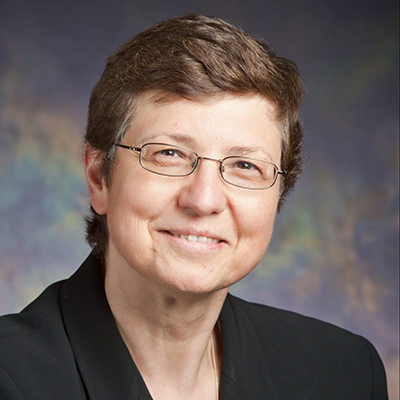 Prior to joining ECE Illinois in 2016, she was a Courant Instructor at the Courant Institute of Mathematical Sciences, New York University. She received her Ph.D. in Physics from Princeton University in 2013 working with Amit Singer and graduated from Trinity College, Cambridge University, with bachelor's and master's degrees in physics in 2008. Opportunities abound in Africa for fundamental and applied research in a number of critical sectors, including energy, communication, transportation, health care and agriculture. This talk will survey some of these research opportunities and the possibilities for developing research projects in Africa, particularly through CMU-Africa in Kigali, Rwanda. I will also share some personal observations about challenges to doing research in Africa and approaches that can lead to effective and productive collaborations with researchers based in African countries. Bruce Krogh is professor emeritus of electrical and computer engineering at Carnegie Mellon University and founding director of Carnegie Mellon University-Africa, a branch of Carnegie Mellon University’s College of Engineering in Kigali, Rwanda. He is currently a researcher at the CMU Software Engineering Institute. Throughout his career, Professor Krogh’s research has focused on the integration of computation, communication and control in a number of areas, including robotics, manufacturing, and energy management systems. The role of coding theory in sparse data processing, such as compressed sensing and combinatorial group testing. This includes both the constructions of sparse recovery schemes as well as methods for the efficient recovery of sparse data. Applications of coding theory to dimensionality reduction, including Johnson Lindenstrauss transforms, and low-rank approximations. The role of coding theory in multi-label classification and computing partition functions. Arya Mazumdar is an assistant professor in the College of Information and Computer Sciences at the University of Massachusetts Amherst since Fall 2015. Prior to this, Arya was an assistant professor at the University of Minnesota-Twin Cities, and a postdoctoral scholar at Massachusetts Institute of Technology. Arya received his Ph.D. from the University of Maryland, College Park, in 2011, where his thesis won the Distinguished Dissertation Fellowship Award. Arya is a recipient of the 2015 NSF CAREER award and the 2010 IEEE ISIT Jack K. Wolf Student Paper Award. He spent the summers of 2008 and 2010 at the Hewlett-Packard Laboratories, Palo Alto, CA, and IBM Almaden Research Center, San Jose, CA, respectively. Arya's research interests include information theory and machine learning. In this talk, I will review the evolution of Michigan neural probe technologies toward scaling up the number of recording sites, enhancing the recording reliability, and introducing multi-modalities in neural interface including optogenetics. We investigated scaling of probe geometry to reduce probe surface area and exploring polymer materials for providing flexibility in the shank body to reduce micromotion effects. Modular system integration and compact 3D packaging approaches have been explored to realize high-density neural probe arrays for recording of more than 1,000 channels simultaneously. In order to obtain optical stimulation capability, we monolithically integrated optical waveguides on the Michigan probe to bring light to the probe shank tips. We could successfully validate excitation and inhibition of neural activities by switching the wavelengths delivered to the distal end of the waveguide. Recently, we directly integrated multiple micro-LEDs on the probe shank to achieve high spatial temporal modulation of neural circuits. We have demonstrated independent control of distinct cells ~50 μm apart and of differential somato-dendritic compartments of single neurons in the CA1 pyramidal layer of anesthetized and freely-moving mice. Euisik Yoon received the B.S. and M.S. degrees in electronics engineering from Seoul National University in 1982 and 1984, respectively, and the Ph.D. degree in electrical engineering from the University of Michigan, Ann Arbor, in 1990. From 1990 to 1994 he worked for the Fairchild Research Center of the National Semiconductor Corp. in Santa Clara, CA, where he engaged in researching deep submicron CMOS integration and advanced gate dielectrics. From 1994 to 1996 he was a Member of the Technical Staff at Silicon Graphics Inc. in Mountain View, CA, where he worked on the design of the MIPS microprocessor R4300i and the RCP 3-D graphic coprocessor. He took faculty positions in the Department of Electrical Engineering at Korea Advanced Institute of Science and Technology (KAIST) in Daejon, Korea (1996-2005) and in the Department of Electrical and Computer Engineering at the University of Minnesota, Minneapolis, MN (2005-2008), respectively. During the academic year of 2000-2001, he was a Visiting Faculty at Agilent Laboratory, Palo Alto, CA. In 2008, he joined the Department of Electrical Engineering and Computer Science at the University of Michigan, Ann Arbor, MI, where he is a Professor and the Director of NSF International Program for the Advancement of Neurotechnology. He served as the Director of Lurie Nanofabrication Facility at the University of Michigan from 2011 to 2016. His research interests are in MEMS, integrated microsystems, and VLSI circuit design. Dr. Yoon has served on various Technical Program Committees including the Microprocesses and Nanotechnology Conference (1998), the International Sensor Conference (2001), the IEEE Asia-Pacific Conference on Advanced System Integrated Circuits (2001-2002), the International Conference on Solid-State Sensors, Actuators and Microsystems (Transducers) (2003, 2005), the IEEE International Electron Device Meeting (2006-2008) and the IEEE International Conference on Micro Electro Mechanical Systems (2006, 2009-2010). He also served on the IEEE International Solid-State Circuit Conference program committee (2003-2007) and was a general chair of International Symposium on Bio Micro & Nanosystems (2005). 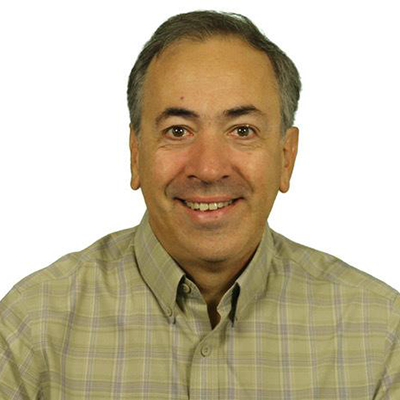 Currently, he serves as an associate editor for IEEE Solid-State Circuits Letters. Electric power grids are changing in many different aspects: solar and wind power generation has been soaring at different levels, more electric vehicles are being plugged in, microgrids are being developed, and smarter sensors and controls are increasingly deployed. Especially, changes in the distribution systems – the grid voltage level closest to the end-users’ side – are remarkable. For example, solar rooftop photovoltaic (PV) generation has skyrocketed in some regions to the point that electric power is back-fed into the grid from buildings. Electric vehicles are becoming more popular, but they require a high charging capacity. What do all these changes mean to grid operators, and what research questions should we explore? This talk will present one specific research question – how can we use building energy more efficiently so that it supports grid operations, and can we leverage building data to do so? We will discuss a project named Capacity Utilization of Building Energy via Multi-Scale Metrics (CUBE), sponsored by the Building Technologies Office of the Department of Energy,that aims to answer this question. CUBE’s goals are to come up with consistent metrics to measure building energy flexibility by various stakeholders, and to utilize various sources of building-related data, including time-series energy meter data, to accurately measure building energy flexibility. Jhi-Young is a research engineer specializing in power systems engineering. Her current research interests are in integrating distributed energy resource technologies such as solar rooftop photovoltaic generation, home/building energy automation systems, and storage systems such as thermal and electrochemical ones. She is especially interested in co-optimization and hierarchical control of these various resources within larger-scale grid systems. Jhi-Young received her Ph.D. from Carnegie Mellon University in 2013, and M.S. and B.S. from Seoul National University, all in Electrical and Computer Engineering. She was a tenure-track faculty member at Missouri University of Science and Technology for two years, and a research scientist at Lawrence Berkeley National Laboratory, before joining Lawrence Livermore National Laboratory in April 2018.